Our Family Support Worker Janet Gregson supports parents of children attending the Centre and in the wider community, offering 1-1 support in the child’s own home or helping parent’s access appropriate services to support their child. Janet has established a parent and toddler group called ‘Wean’s World’ which meets twice per week. 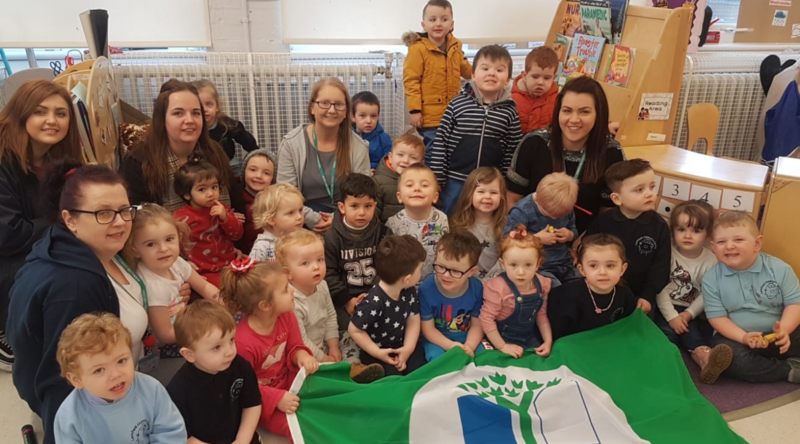 This group is held in the local community hall and is very well attended by younger siblings of children attending the nursery and by parents in the wider community. If you need any further information on our family support services, please speak to a member of staff, Head of Centre or Janet Gregson, our Family Support Worker. Book Bug sessions are held after the toddler group sessions 11:00-11:40 a.m. on Wednesday’s and Friday’s.